This designer beach house overlooking Whale Beach, located in one the most exclusive coastal suburbs of northern Sydney has been constructed to make the most of its seaside aspect. EnduroShield easy clean treatment for glass was professionally applied to the interior and exterior of the building, and pool surround. The home has been designed with extensive use of frameless glass panels to optimize the view, allowing clear sight lines through to the stunning infinity pool and the beach beyond. As the home is just meters away from the sea, all of the glazed areas were treated with EnduroShield to reduce the build-up of salt caused by constant ocean spray. The protective coating seals the porosity of the glass helping to prevent permanent staining from salt spray. The professional treatment will reduce the cost and effort of cleaning. 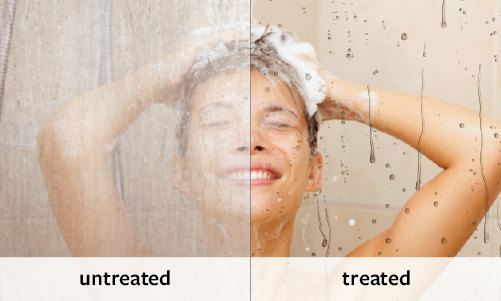 Environmental benefits can also be taken into account as areas treated with EnduroShield require less water and no toxic chemicals for cleaning compared to untreated glass.